The grapes are harvested at the optimum moment of maturation. Particular care is paid to phenolic ripening to ensure that elegant tannins result. The grapes are picked by hand and selected to ensure that rotten and withered berries are rejected. Pinot Noir grown on our finest argilo-calcareous terroirs in Eguisheim is given the appellation “Pinot Noir Rouge d’Alsace”. 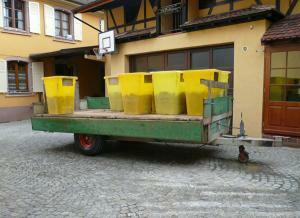 Grapes are transported from vineyard to cellar in dedicated fruit bins or “bottiches”. 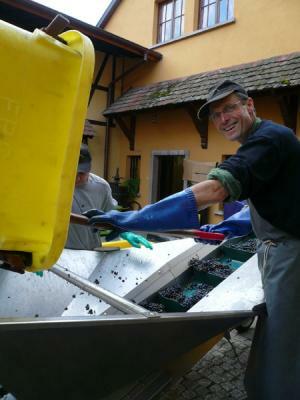 A small quantity is placed in each bottiches to ensure that the fruit is preserved without damage and to ensure that no bitterness is extracted. In the cellar, the grapes are destemmed and crushed with the fruit collected in stainless steel casks. 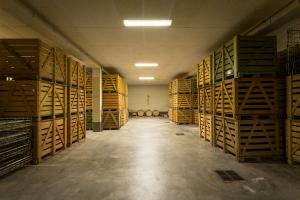 The maceration and fermentation process takes between twelve and twenty-five days according to the vintage and cuvée. Juice from the grapes is pumped over the dregs of grape skins and, sometimes the process is inverted, with the grape skins being plunged back into the juice. 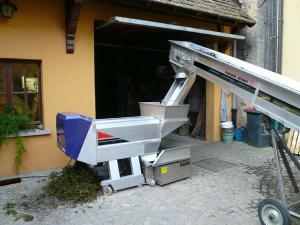 These processes enable the removal of grape skins and pips but also enhance flavour, colour and tannins. 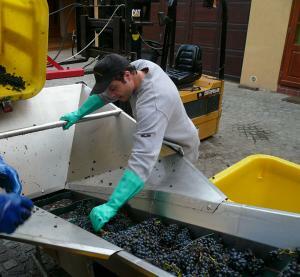 The intensity of these operations depends on the evolution and progress of the wine. 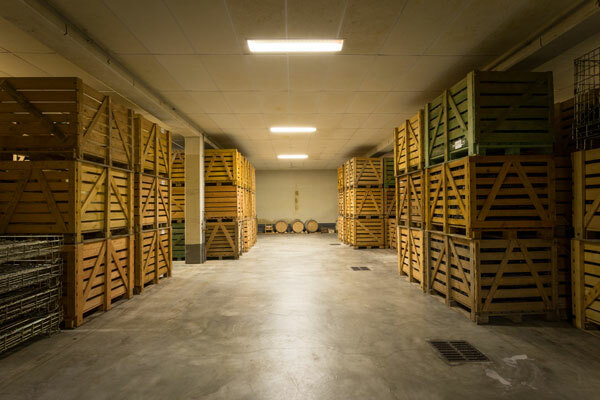 The wines are tasted daily and the residual sugar content and temperature of the wine carefully controlled. 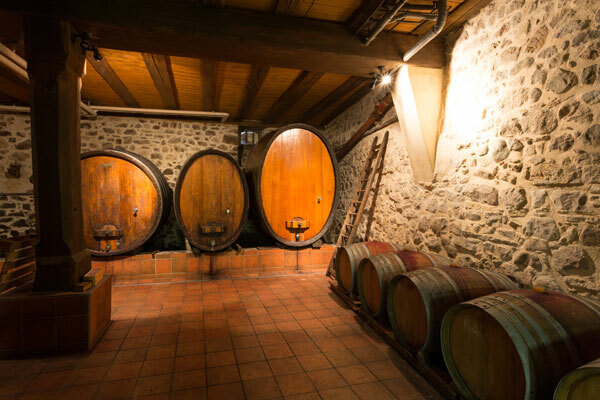 Once fermentation is complete, the fermented juice is transferred to wooden barrels – in the case of the Pinot Noir Rouge d’Alsace, the wine is transferred to casks called “barriques”, for the Pinot Noir Tradition Rouge, larger oak tuns or “foudres” are used. The juice which comes from these wooden barrels are known as free wines and they are the most elegant and fruity. The marc or pommace which is composed of grapes skins is transferred to the pneumatic wine press where we extract a secondary juice called press wine. This is a very skilled task – one on which the future tannins success will depend and give structure to the finished wine. 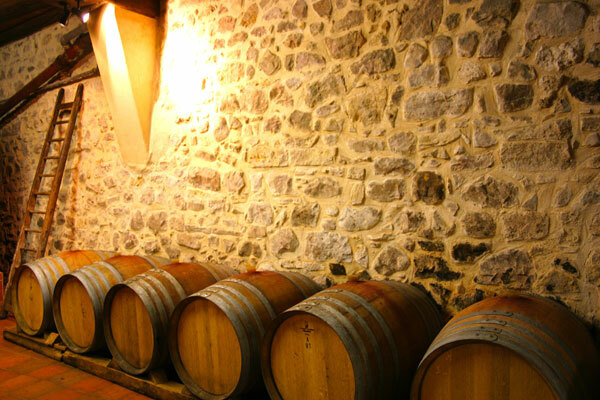 In general, only the first pressed wines are retained after which time they are added to the free wine described above. The next stage in the development of our red wines is that of malolactic fermentation – a process in which malic acid is transformed into a softer lactic form. Upon completion of this process, the wines are aged. Both Pinot Noir Rouge d’Alsace and the Pinot Noir Tradition are aged, again in wooden casks and again independently of one another. The period of aging is dependent on the vintage but lasts for at least ten months. During aging, the wooden barrels are frequently topped up to prevent oxidation and their progress is monitored through regular tasting.